The Democratic Governor’s Association called for Virginia Gov. 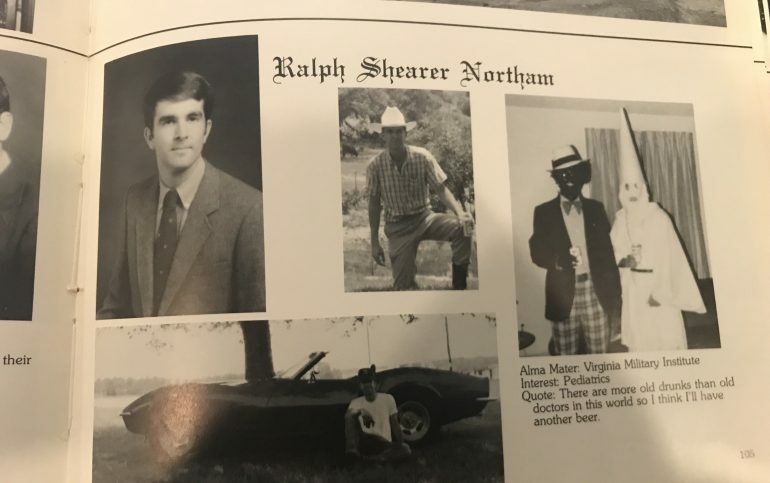 Ralph Northam to resign over a racist yearbook photo minutes before he was gave a press conference refusing to step down over the controversy. “Senate Majority Leader Mitch McConnell cautioned President Trump privately this week about the consequences of declaring a national emergency to build his border wall, telling him the move could trigger political blowback and divide the GOP,” the Washington Post reports. A new Change Research (D) survey finds former Starbucks CEO Howard Schultz is less known to the electorate than other declared and potential presidential candidates with 56% having never heard of him or don’t have an opinion. Among those who have an opinion, just 4% view him favorably compared to 40% unfavorably — a 10:1 unfavorable to favorable ratio, far higher than any other candidate tested. Schultz is viewed unfavorably by Democrats (50% unfavorable to 4% favorable), Republicans (43% unfavorable to 4% favorable), and Independents (31% unfavorable to 4% favorable). In hypothetical matchups, with and without Schultz in the race, of Donald Trump running against different Democrats — Joe Biden, Kamala Harris, Elizabeth Warren, Beto O’Rourke, and Bernie Sanders — Schultz takes an average of four points away from what the Democratic candidate receives in a two-way race, while taking just 1% away from Trump. “The Russian propaganda machine that tried to influence the 2016 U.S. election is now promoting the presidential aspirations of a controversial Hawaii Democrat who earlier this month declared her intention to run for president in 2020,” NBC News reports. The Democratic Party should expel her immediately. “As Sens. Elizabeth Warren, Kamala Harris and Kirsten Gillibrand jumped into the Democratic presidential nomination contest, they staked out the same position against corporate campaign cash,” NPR reports. David Axelrod tells the New Yorker that it will be very hard for President Trump to win re-election. “Russian President Vladimir Putin, in a decision that was widely expected, suspended his country’s observance of a key nuclear arms control pact on Saturday in response to a similar move by the United States a day before,” the New York Times reports. Sen. Elizabeth Warren (D-MA) “is preparing a robust, official launch to her presidential campaign in her home state of Massachusetts next week, followed by a six-state, cross country tour that will take her to four early presidential states, key southern states and to delegate-rich California, where an early primary is becoming an increasingly critical calculation to 2020 Democratic aspirants,” Politico reports. Frankly, I find the fact that he attended VMI far more troubling than anything he put in his yearbook. The school wasn’t integrated until 1968.